Various national and international legal instruments punish hate speech. However, the specific nature of the Internet calls for the adoption of new strategies to combat hate speech which is widely disseminated on the web. As the Internet ignores territories and has no boundaries, states cannot control it effectively by unilateral national regulation: so what is needed is increased international co-operation. This book describes the situation in ten Council of Europe member and observer states and discusses the problems faced and solutions introduced by these countries and by European and international organisations and civil society. The international news service, Reuters, has published their styleguide and code of ethics for the first time. 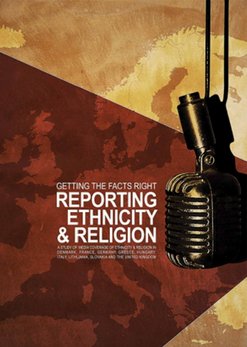 The handbook contains sections on standards and values, including the 10 absolutes of Reuters journalism, a general style guide and sports style guide, and a guide to Reuters operations.